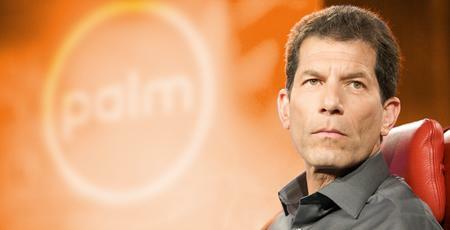 Former Palm CEO and Palm Global Business Unit head Jon Rubinstein has left HP effective today, according to a new report from AllThingsD. Rubinstein joined HP as part of the company's purchase of Palm, leading the Palm Global Business Unit as in the lead-up to the TouchPad launch. He was then shifted into a "SVP of Product Innovation" role within the HP Personal Systems Group, a position that we expected was a sort of ease-out job for Rubinstein. Rubinstein joined Palm in 2007 as Chairman and led the development of webOS and the Palm Pre, which launched in 2009. Soon after he took over as CEO from Palm veteran Ed Colligan. In 2011 HP announced their plans to purchase Palm, bringing Rubinstein into the HP organization in the process. Then not that long ago HP pulled the plug on webOS device hardware. We can imagine it was a devastating blow for Rubinstein, who had invested years of his work into building the platform. According to AllThingsD, Rubinstein hadn't been seen at HP or Palm since the decision had been made. Can't say we're surprised - we'd be pretty disenchanted if that happened to us too. We've reached out to HP for comment on the matter, but in the meantime we'll say this: Jon, we'll miss you. You've had a substantial impact on the mobile space for many years, one that will be felt for some time to come. We don't know where you're going from here, but if we had to guess, it'd be to that hammock that Colligan dragged you out of back in 2007. Hope we'll see you around! Update: We just heard back from HP on Rubinstein's departure, here's their official comment on the matter: "Jon Rubinstein has fulfilled his commitment to HP; we wish him well." We've also heard that HP is not aware of any plans that Rubinstein has to go to another company (or start a new one with Open webOS - wouldn't that be delicious? ), so we'd guess that the hammock, pitcher of margaritas, and Mexican beach sand are definitely in Jon's future.